Baggage Capacity 71 cu. ft. cu. ft. The Cessna Citation CJ4 is a light business jet charter that offers seamless and efficient transportation. 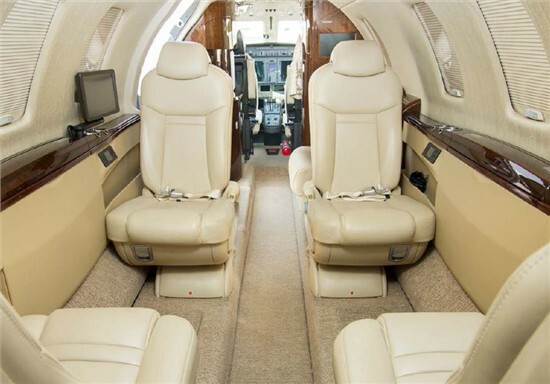 This corporate jet charter is the newest and largest model of the Citation CJ line. It has the same cabin cross-section as the CJ3 but is 21 inches longer. 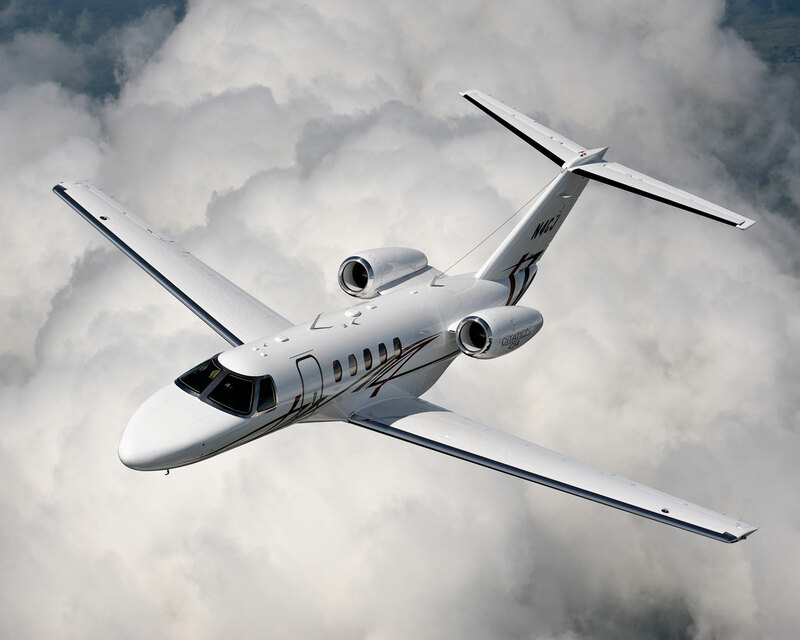 Cessna introduced the CJ4 in 2010, and this private jet charter is one of the largest aircraft in the light jet class. Not only does this high-end business jet charter feature enhanced speed, range and cabin size, but it also offers advanced innovation that is unparalleled. Such elements include design highlights such as a new wing design for better range performance, heated windshields to reduce cabin noise, improved hydraulic and electrical systems for better reliability. This luxury private jet charter features raised cabin windows to improve visibility for passengers. Additionally, the standard interior configuration of this business jet charter is a 6-place interior. An optional 2-place side facing divan with a smaller refreshment center can be installed upon request to accommodate up to eight passengers. With an impressive airspeed of 518 miles per hour and a range of 1,920 miles, the Citation CJ4 is a leading choice for corporate jet charters across the world. This private jet charter features all the usual amenities and an enclosed style lavatory all for the comfort and convenience of its elite passengers. You can charter the Citation CJ4, a superior light business jet charter, from JetOptions.